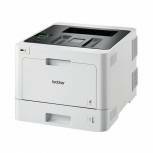 Brother HL-1210W Mono Laser Printer Wireless White HL1210WZU1 Pack of 1 Compact mono laser printer. 20ppm print speed. USB 2.0 and Wi-Fi connectivity. 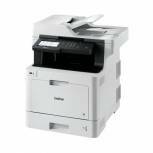 Mobile printing with Brother iPrint&Scan app. 150 sheet paper input tray. 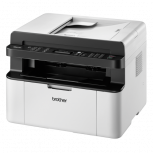 Brother DCP-1610W Mono Laser All-in-One Printer Wireless White DCP1610WZU1 Pack of 1 3-in-1 mono laser printer: print, scan and copy. 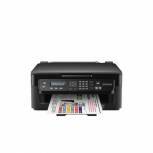 20ppm print speed. USB and Wi-Fi. 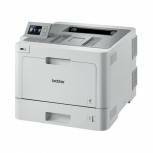 Mobile printing with Brother iPrint&Scan app. 150 sheet paper tray. 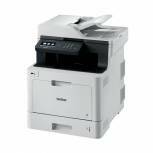 Brother MFC-1910W Mono Laser All-in-One Printer With Fax Wireless White MFC1910WZU1 Pack of 1 4-in-1 mono laser printer: print, scan, copy and fax. 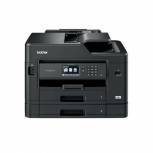 20ppm print speed. USB and Wi-Fi. 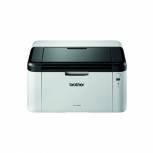 Mobile printing with Brother iPrint&Scan app. 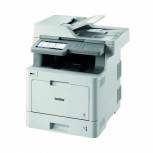 150 sheet paper tray, plus automatic document feeder. 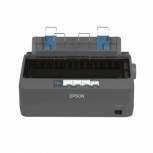 Epson lq350 24pin dot matrix Grey c11cc25002 Pack of 1 Epson lq350 24pin dot matrix grey c11cc25002 High reliability: MTBF of 10,000 operating hours. Power-efficient: 1. 3W on standby, 22W powered on. Up to 357 characters per second (12cpi). Economical: Ribbon yield of 2. 5m characters. 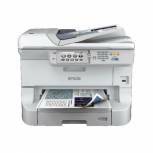 Epson lx350 9pin dot matrix Grey c11cc24032 Pack of 1 High reliability: MTBF of 10,000 operating hours. Power-efficient: 1. 1W on standby, 27W powered on. Economical: Ribbon yield of 4m characters. 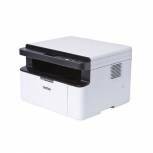 Save money with its high ribbon yield of 4 million characters and its low power consumption. 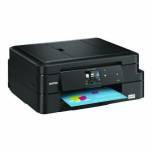 Epson Black WorkForce WF-2510WF All-in-One Wireless Colour A4 Inkjet Printer C11CC58301 Pack of 1 All-in-one colour A4 inkjet printer: print, scan, copy and fax. USB and Wi-Fi connectivity. 3,000 page duty cycle. 100-sheet paper input tray. 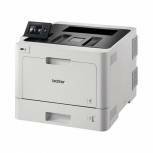 iPrint support - print from tablets and smartphones. 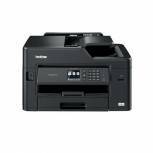 Epson Black WorkForce WF-2010W Wireless Colour A4 Inkjet Printer C11CC40301 Pack of 1 Colour A4 inkjet printer for small offices. USB, Wi-Fi and Ethernet connectivity. 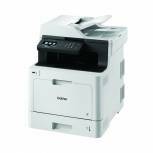 34 ppm mono and 18 ppm colour print speeds. 5760 x 1440 dpi print resolution. 3,000 page duty cycle. 100-sheet paper input tray. 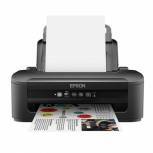 Epson Black WorkForce Pro WF-8510DWF A3+ Multifunctional Inkjet Printer C11CD44301BY Pack of 1 Multifunctional A3+ colour inkjet printer: print, scan, copy and fax. Ethernet, Wi-Fi and USB. Print from a USB drive or direct email. 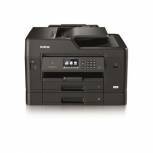 Print speed: 34ppm (mono/colour). 250 sheet paper tray, 80 sheet multi-purpose tray. 12.7cm colour touchscreen display.